As a brand new lifestyler getting to know your village, it can be hard to know what to do first. 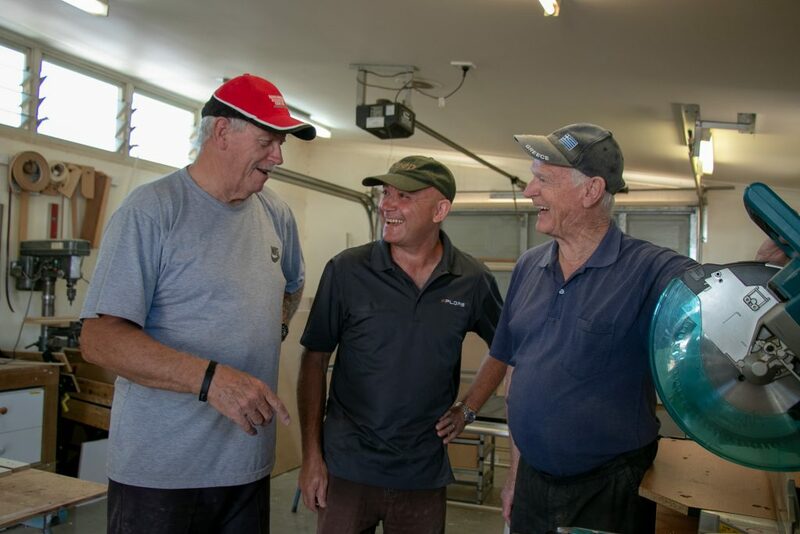 New Busselton homeowner Robert Ward was keen to get his hands on some of the machines in the workshop, so close to the top of his list was a full workshop induction with retired cabinet maker Eddie Ferridge and shed regular Norbert Heerwaarden. 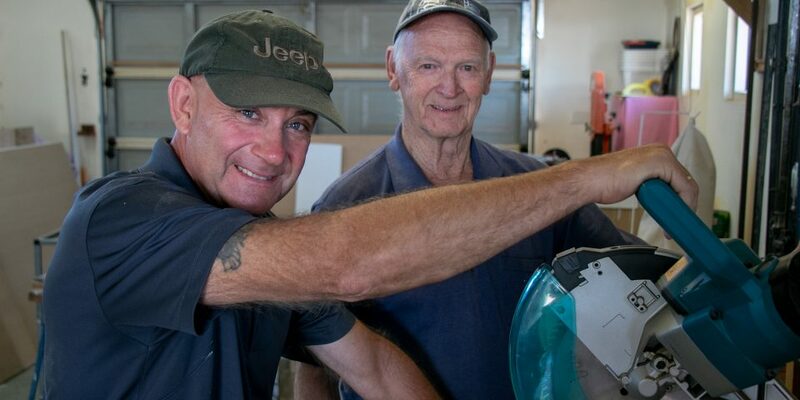 Like Robert, Eddie’s downsize story started with a redundancy. He was a cabinet maker in the government for twenty years, designing furniture for handicapped kids. 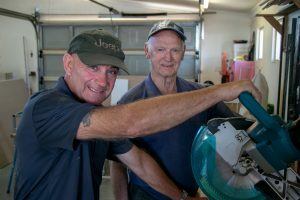 Eight years after making the move to Busselton, he still loves helping people and spends a lot of time designing furniture systems to make life easier for people in the village.